In 2013, the Canadian government introduced regulation allowing the commercial production and distribution of marijuana for medical purposes. In October 2018, the legalization of recreational marijuana use followed suit. Canada is now the second country in the world to have formalized the production, sale, and consumption of marijuana. As a result, the cannabis industry is undergoing an intense commodification process. Amid this fast-paced change, many open questions remain. Canadian marijuana companies are leading the development of a global industry with countries around the world looking closely at how this experiment might translate within their regulatory environments. 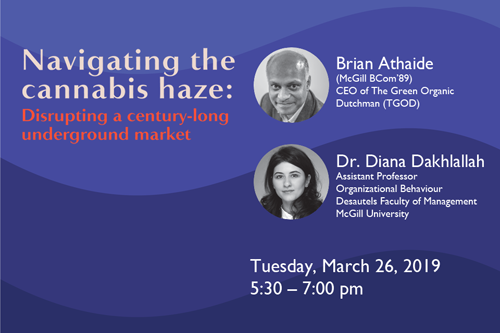 To provide insight into the creation and transformation of the burgeoning cannabis market, McGill Desautels Faculty of Management is delighted to welcome Brian Athaide (BCom’89), CEO of The Green Organic Dutchmen (TGOD) for an Integrated Management Symposium. 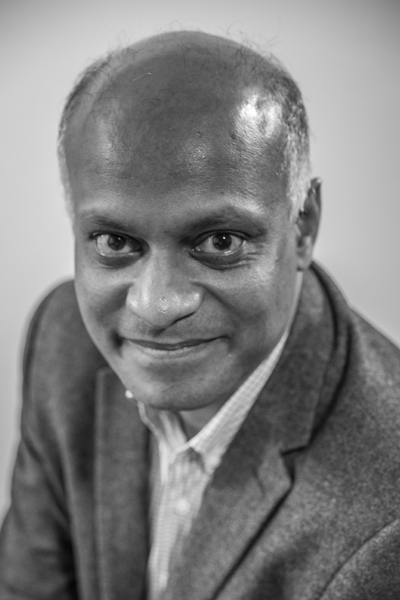 Brian Athaide will reflect with Prof. Diana Dakhlallah from the Organizational Behaviour area at Desautels on the commodification dynamics and related constraints, consumption, regulatory concerns, socially responsible investing, and uncertain science of cannabis. 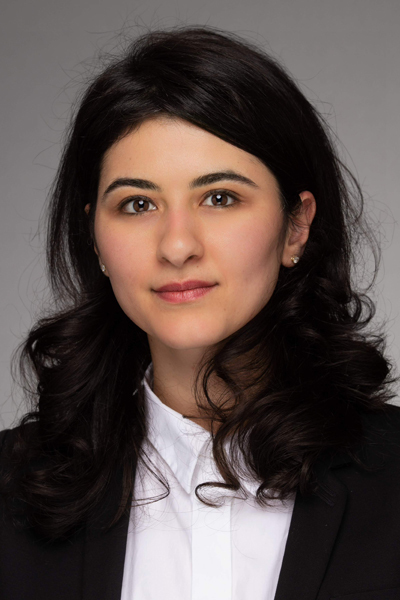 This event is part of the Integrated Management Symposium Series, which invites members of the McGill and Montreal community to explore management through intimate conversations between prominent McGill academics and world leaders in their fields. The series encourages participants to broaden their perspective in order to address the significant ecological, social, and economic challenges facing today's societies. These free symposia are generously supported by benefactor Marcel Desautels, C.M., LLD’07.